Abilene Bar and Lounge is a modest neighborhood bar built into an old house on an out of the way street in downtown Rochester. 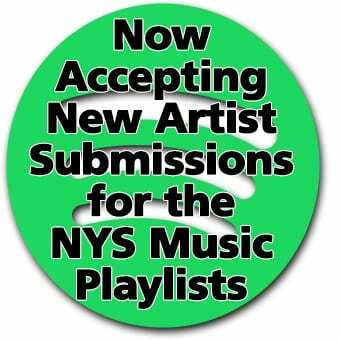 Generally it plays host to roots Americana acts, honest tunes sung and strummed on good old fashion acoustic stringed instruments. But Tuesday night, Arc Iris descended onto the stage and transformed the joint into their own little Moon Saloon. A complete DIY stage set, composed of multiple gelled floor can lights and strings of LED lights, including one hanging off the back wall writing their name, helped to set the scene. Lead singer Jocie Adams came dressed in a skin-tight shiny gold one piece, with a quasi-cape neckpiece and white tasseled ankles. She would add wings to the ensemble midway through the show, with a dramatic entrance and full on display during “Kaleidoscope,” like a butterfly emerging from its cocoon. However, a small stuffed doll Max Rebo sitting on Zach Tenorio-Miller’s keyboard may have been the most appropriate prop of them all. Arc Iris was like a spaceship: Adams as the captain, Tenorio-Miller at the controls and drummer Ray Belli providing the driving power behind the ship as the engine. With the opening notes of “Saturation Brain,” off of their spectacular 2016 release Moon Saloon, the audience was pulled from the Earth’s gravity, floating along attached to lifelines. Each song was a journey, traveling from point to point. They could lull you into a beautiful dreamscape before jolting with sudden acceleration in a surprising new direction, such as on “Paint With the Sun.” Arc Iris defies convention at every turn. Adams commanded attention with her incredible vocal range, navigating complex narrative song structures. Singing through two mics, run through different effects pedals and loops, one voice could be many, human voice could be alien. Tenorio-Miller kept busy, constantly pounding out bass lines with his left hand while maintaining much of the melodies that were represented by horns, strings and more on the album. He provided extra boosts to the ships rockets with some downright brilliant keys work, reminiscent of greats like George Duke and Herbie Hancock. Loops, samples, backing vocals and percussion just added to his arsenal. Last month the band played a special set in Burlington. VT where they recreated Joni Mitchell’s Blue in it’s entirety. 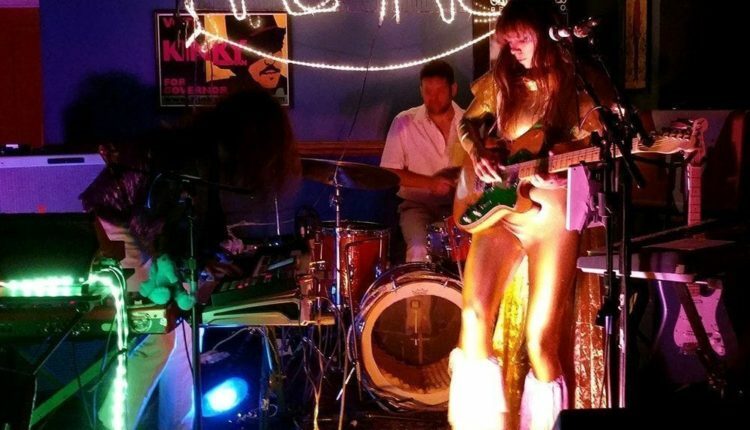 Mixed in with the set heavy on Moon Saloon material, they treated Rochester to a trio of their Blue re-workings, playing through their versions of “Last Time I Saw Richard,” “River” and “Blue,” each flown out to outer space and back, jumbled and reconfigured. sounding in the end almost like new Arc Iris originals. One foot in the past, one foot firmly planted in the future. It’s not often a band can completely consume and redefine the stage on which they play. 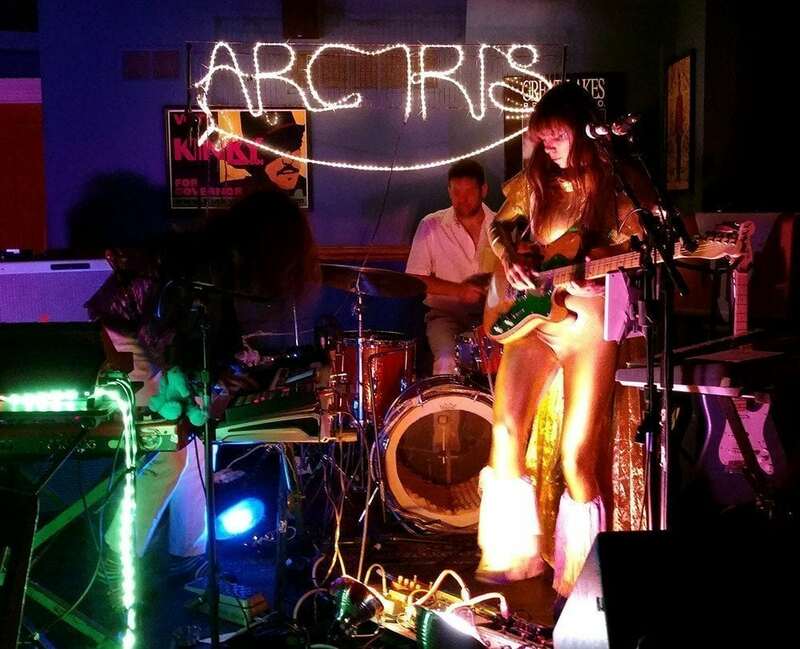 With some simple stage design, but mostly through their transformative music, Arc Iris successfully took Abilene on a short but memorable journey up and away from what had just been a regular old Tuesday in Rochester, NY.